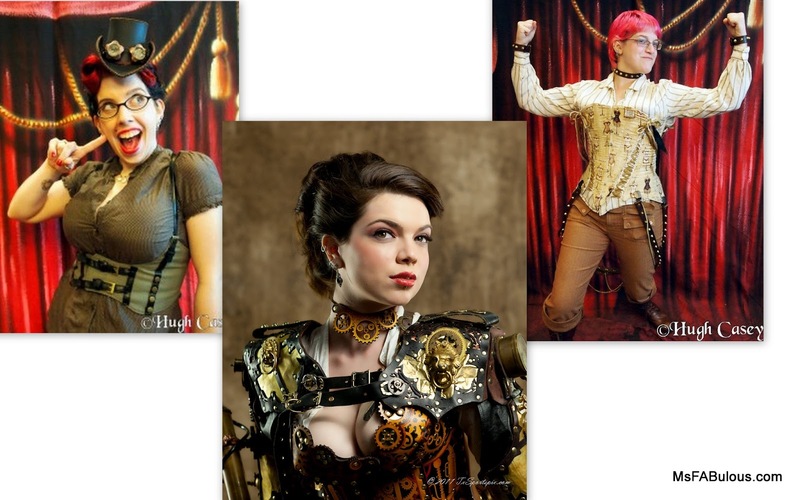 Yay, I can't wait for this one...A glamorous, shining World's Fair of Steampunk happening next month. It is a festival of music, dance, crafts, art, literature and fashion with Victorian aesthetics and futuristic technology. If you like to play dress-up, guests are welcome to show up in any kind of period garb, (accurate or not) whether its Victorian, Renaissance or otherworldly... Shop from vendors, be dazzled by magic or compete in contests. I discovered Judy R. Clark at the Scottish Re:Designed fashion presentation last night. Her work was meticulously detailed, constructed and romantic. True to her Scottish roots, she made creative use of bespoke Harris Tweeds and is a multiple design award winner. 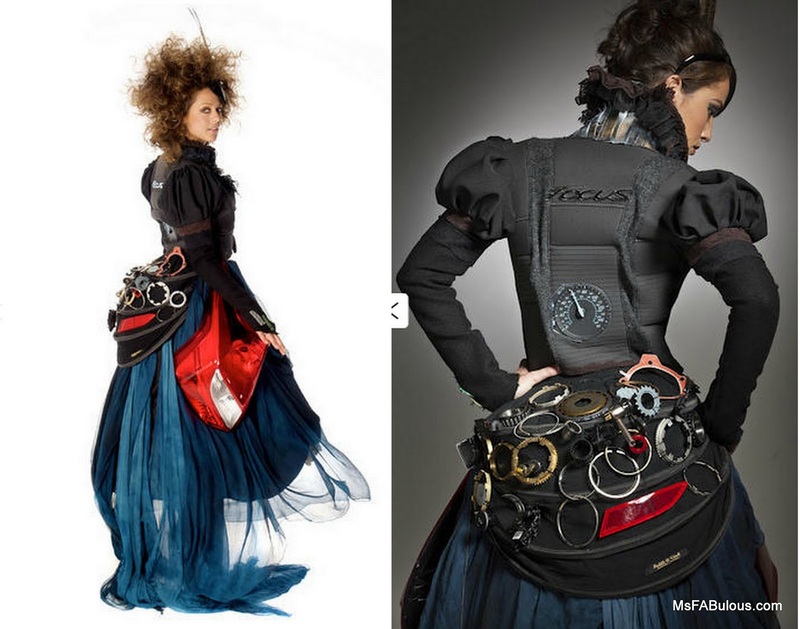 One of her most famous gowns is a Steampunk-inspired gown for Ford motor cars made from their car parts. Isn't it time to have a Highlands fling?